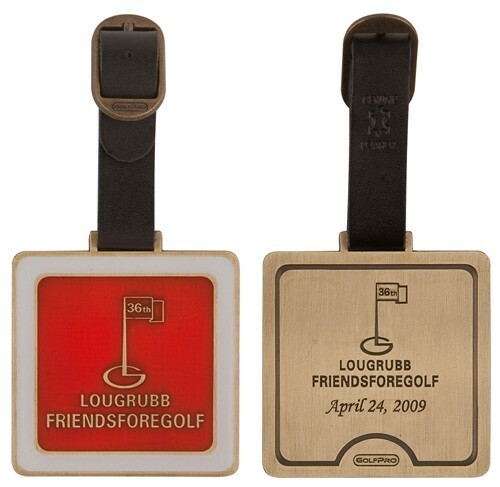 Eye-catching bag tags use a unique combination of metal and stained glass to highlight your logo with unsurpassed detail. On the backside, personalization's can be added. Available in gold and silver finishes. Minimum order 150 pieces. • Normal Packaging: Poly Bag. Gift box available.